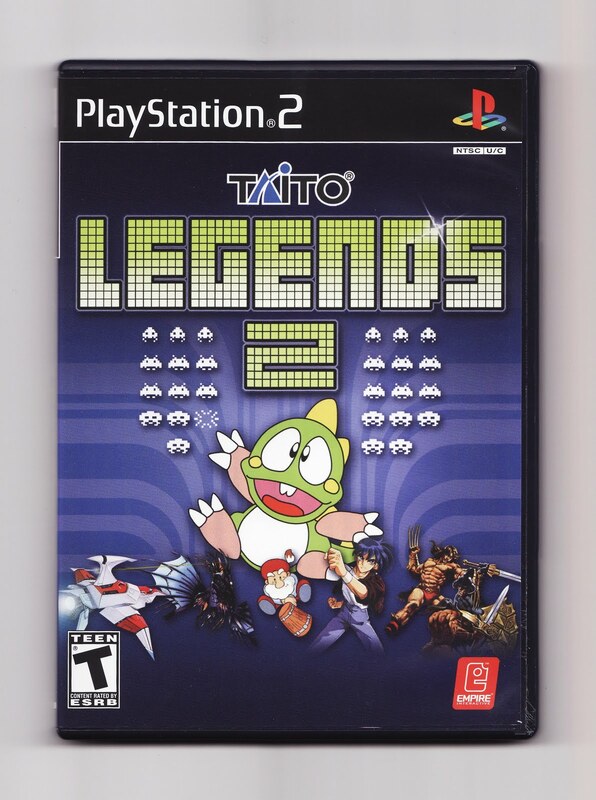 Although it's not as immediately appealing as its predecessor--which features such arcade classics as Bubble Bobble, Elevator Action, Rainbow Islands and Space Invaders--Taito Legends 2 offers its fair share of old-school entertainment once you scratch the disc's surface (figuratively, not literally). Even without the benefit of nostalgia, for instance, games like Cameltry, Kiki Kaikai, The Legend of Kage and Qix are a blast. 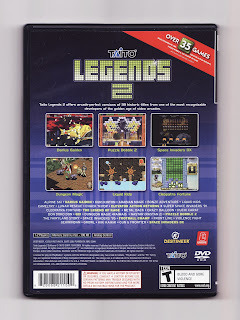 And then there are the slew of Bubble Bobble-esque games in this collection--Chak'n Pop, Don Doko Don, The Fairyland Story and Liquid Kids--each of which are enjoyable and unique enough to stand on their own. Sure, there are a few duds--I'm lookin' at you, Crazy Balloon and Wild Western--but even those tend to have a redeeming value or two. 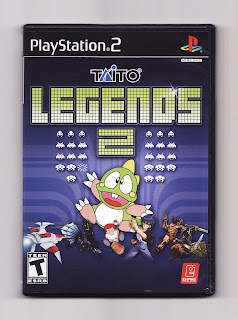 I'd highly recommend giving each of the 39 games included on Taito Legends 2 a try at one point or another regardless, as you never know which previously unknown (or ignored) title will surprise your heart into skipping a beat. For me, that game was the Parodius-esque--or maybe I should say Pop'n TwinBee-esque--Space Invaders '95, which introduces bosses, cute protagonists and (most importantly) pastels to Tomohiro Nishikado's magnum opus. 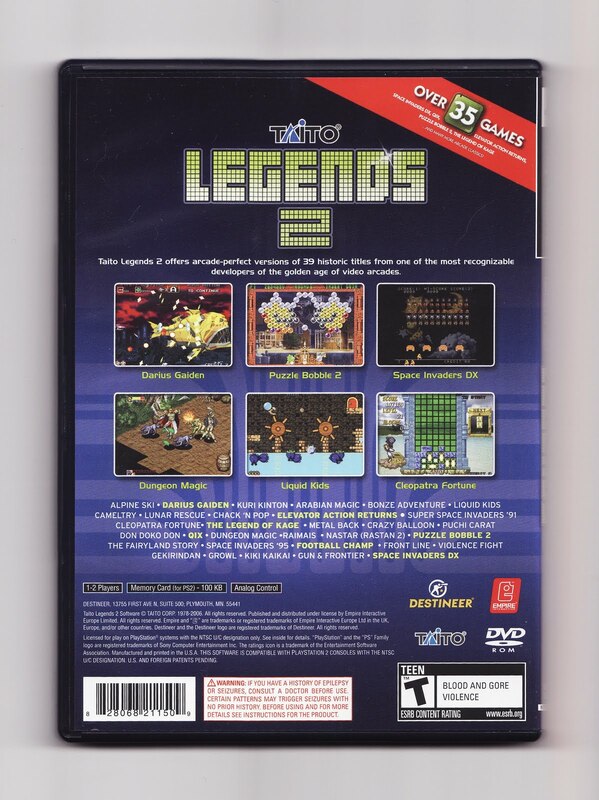 I have been looking for a used copy of 1 or 2 every time I go into a GameStop. Well, shoot! Hopefully you'll find it soon. It certainly should be cheap used -- I think it's just $20 new, although I'm not sure. Raimais is one of my favorites of this bunch. It's some sort of high-speed Pacman game with hidden bossfights against cyborg insects. Some of Zuntata's best work can be heard in this compilation as well. Metal Black, G. Darius, Elevator Action Returns, just amazing music. Yeah...I've been to six GameStops in the last few weeks, just on completely unrelated trips. No luck. Side not: the CAPTCHA below is "uristedi". Is that the ability to aim your pee without shaking? As in, "I have great uristediness! Watch me knock that beer can over." Huh. Maybe this is the kind of game that people hang on to. Or maybe it's snatched up as soon as it's put on the shelves? Regardless, hopefully you'll find a few copies soon.